e's knitting and spinning blog: 2 days!!!! Back to where we were last week! I was worried it would be short so I blocked it to see where we were. It is now perfect! 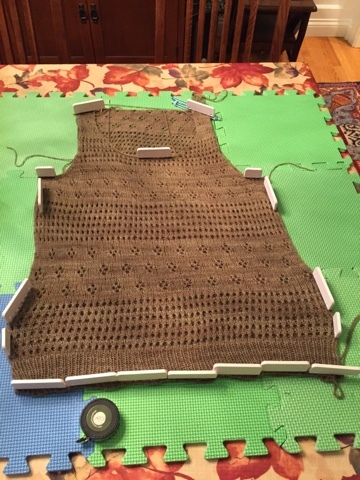 So on to sleeve island! Now for packing!! 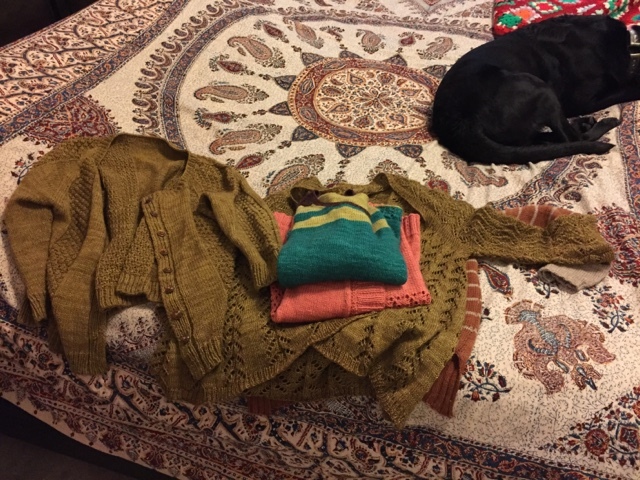 I told Jess I wasn't taking too much but the sweaters alone are too many! I need one for everyday and then an extra for good measure! I just can't believe how fast you are able to knit something up. I am in awe.